Roger Fry may have been the leading art historian, critic, and painter in the Bloomsbury group, but it was Clive Bell who laid down the aesthetic theory which underpinned the group’s thrust to change the direction of art in the twentieth century. Clive Bell (1850-1942) was born into a wealthy family, which had made its money from coal mines in Wiltshire, England, and Merthyr Tydfil in South Wales. He read history at Cambridge University, after which he was awarded a scholarship to study in Paris, where he became interested in art, and by his own account ‘became familiar with the modern French masters’, including Cézanne, Gauguin, and Matisse. He married the painter Vanessa Stephen, who was Virginia Woolf’s sister, in 1907, and became a core member of the Bloomsbury group. He wrote his first book, titled simply Art, in 1913, in which he expounded his aesthetic philosophy in the context of art, its history and appreciation, which I discuss below. The group as a whole took a liberal socialist approach to society, supporting the campaign for women’s right to vote. However others have seen Bell as remaining a snob and hedonist. During the First World War he was a pacifist, and he was allowed to work on a farm instead of being called up to serve in the Armed Forces. In 1911, his marriage began to collapse, when Vanessa started an affair with Roger Fry, and by the end of the war she was living with Duncan Grant, and Bell had had a number of affairs. Despite that their marriage was never annulled, and he often spent periods in the rural farmhouse where Duncan, Vanessa, and their three children lived. Bell and Fry shared a vigorous enthusiasm for what Fry had termed ‘Post-Impressionism’. As an art historian and painter, Fry contributed his expertise in those areas, while Bell concentrated on theory, particularly aesthetics. Art (1914) was widely read, and is still actively discussed. 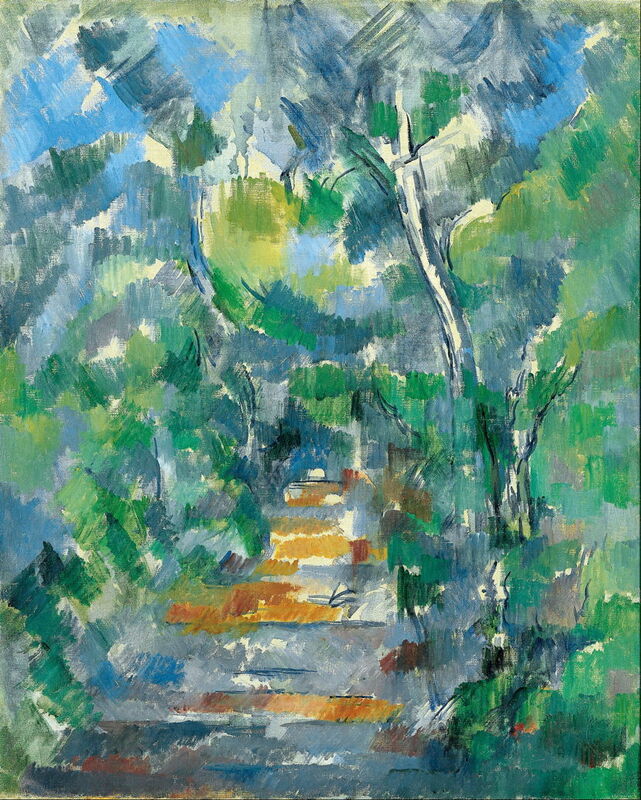 Among his later books, Since Cézanne (1922) and An Account of French Painting (1931) are also relevant. You can download the complete text of this book from Project Gutenberg, or Archive.org. In its introduction, Bell claims that he and Fry “still disagree profoundly” about the principles of aesthetics, something not borne out by Fry’s writings. 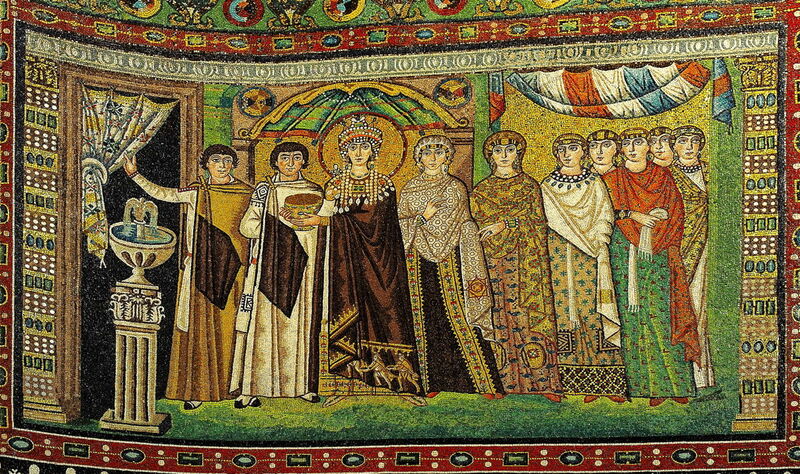 Mosaic of Theodora – Basilica of San Vitale (built A.D. 547), Italy. UNESCO World heritage site. By Petar Milošević, via Wikimedia Commons. and an early painting by Picasso. 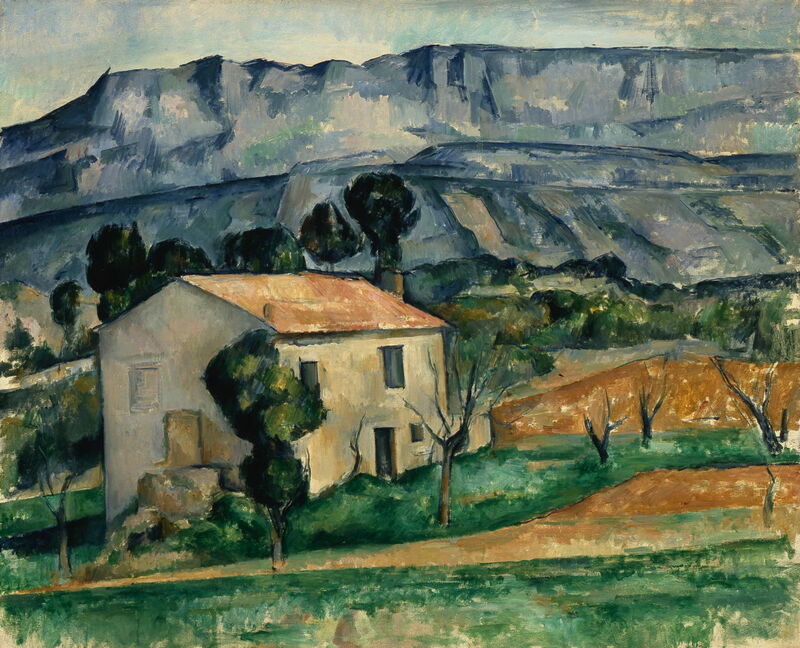 Paul Cézanne (1839-1906), Maison devant la Sainte-Victoire près de Gardanne (1886–90), oil on canvas, 65.5 x 81.3 cm, Indianapolis Museum of Art, Indianapolis, IN. Wikimedia Commons. So what is it in a work of art which provokes aesthetic emotion? Bell states that it is “significant form”. By this he means “lines and colours combined in a particular way, certain forms and relations of forms”, which he considers provoke aesthetic emotion. Many critics have pointed out the hopeless circularity of his ‘definitions’, which therefore fail to clarify anything. Bell also admits that “the objects which provoke aesthetic emotion vary with each individual”, which he accepts is a matter of taste. However he sees it as the role of a critic to guide the viewer to experience aesthetic emotion, and thereby the viewer will judge an object to be a work of art. Later in the book he offers criteria for distinguishing ‘good’ and ‘bad’ drawing: “What we mean when we speak of ‘good drawing’ and ‘bad drawing’ is not doubtful; we mean ‘aesthetically moving’ and ‘aesthetically insignificant.’ Why some drawing moves and some does not is a very different question.” And one which he does not answer except to refer us back to his circular concept of ‘significant form’. This is, perhaps, a succinct expression of the formalist approach, and an excellent explanation as to why it fails so thoroughly. If Bell deprives us of any meaningful definitions, he does not hold back in informing us what he, as an aesthete and critic, deems to be art, and what is mere illustration or visual trifles. 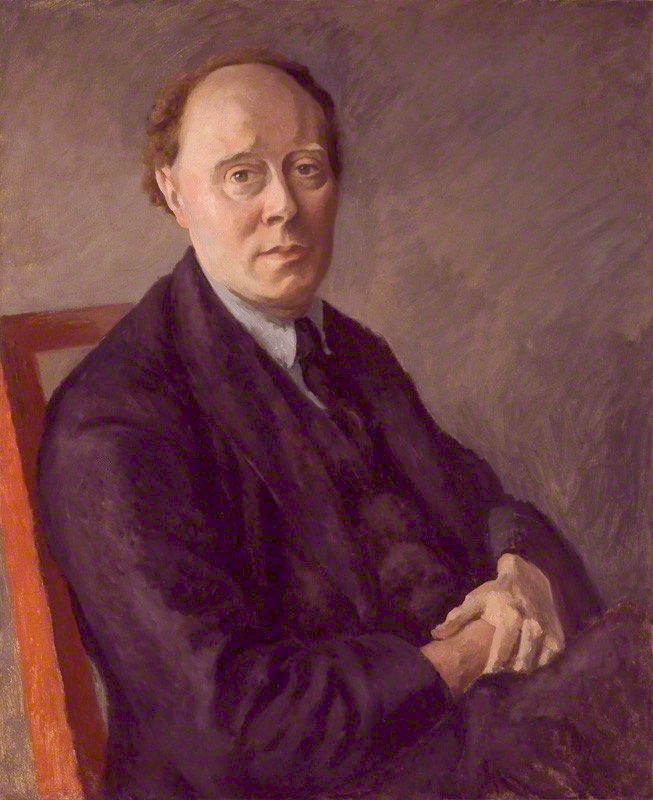 paintings by Duncan Grant and Roger Fry. Neo-Impressionists, including Seurat, Signac, and Cross. The final sections of the book consist of a long socio-political proposal by which art and aesthetics could be improved, including such measures as closing all art schools, making artists’ lives a misery as beggars living on public charity alone, and much more. In the next article, I will consider how those views overlap with the views of Roger Fry, and how Fry and Bell influenced art history. Posted in General, Painting and tagged aesthetics, Bell, Bloomsbury, Cézanne, formalism, Fry, Gauguin, Manet, Matisse, Neo-Impressionism, Post-impressionism, Sargent, van Gogh, Woolf. Bookmark the permalink.